Tzipi Zipper is one of the most able people you'll ever meet—despite the fact that she sits in a wheel chair. She traveled to Chicago in the late winter to speak at the Jewish Federation of Metropolitan Chicago, Jewish Child and Family Services, and the UIC Levine Hillel. Zipper's story starts off in Colorado. Growing up in a Zionistic household in Denver, she always dreamed of moving to Israel. At 15—only two weeks after discovering a Jewish Agency for Israel program that helps young people relocate to Israel without their families—she found herself landing at Ben Gurion Airport. Her senior year of high school, just like most other 18-year-old Israelis, Zipper was ready—and proud—to join the Israel Defense Forces. Typically, Israeli men serve for three years in the IDF, while women serve for two, but not Zipper. An athlete all her life, she wanted to serve for three years in a more rigorous role. So after passing a series of strenuous physical and psychological tests, Zipper joined a combat unit; her rank was Staff Sergeant. She was inducted into the nuclear, biological, and chemical warfare unit in the Combat Engineers Corps, where she served in hot spots like Bethlehem, Jericho, the Egyptian border, and the Gaza Strip. By the conclusion of her service, she'd risen to the position of Master Sergeant. After discharge, Zipper found work in security. She is the first woman ever to pass the security course in a high-profile heavily armed security. She was stationed in check points along with military, police, and Mossad agents along the West Bank and East Jerusalem. Then, eight months later, her life changed forever. She was manning a checkpoint one night when she was struck by a car in a routine traffic accident. Her injuries appeared minor at first, a sprain to her left knee and a partially torn ligament. But her pain grew more severe. She was eventually diagnosed with a rare progressive neurological disorder called Reflex Sympathetic Dystrophy Syndrome, also called Complex Regional Pain Syndrome, a condition triggered by injury or trauma. "The number one symptom is relentless pain 24/7," she said. The pain was spreading from her left knee to both of her legs, and there was no known cure. Three months later, Zipper found herself stricken to a wheelchair. At first, she felt sorry for herself. "After my accident, I felt like I lost everything. I lost my home, my career, my furniture, I lost my independence, and sometimes I felt like I lost my pride," she said. "I was lost, I was broken, and I was alone." She realized something had to give; she had to regain control of her life. "I was tired of being unhappy, I was tired of feeling sorry for myself, I was tired of hating the world because of my bad luck," she said. "…I had no choice but to fight for control of my life back. I wouldn't let my condition define who I am. I decided I would try to conquer my disability." 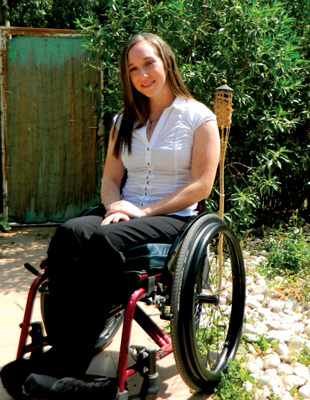 At the same time, Zipper had been contemplating buying a power wheelchair because she'd developed carpal tunnel syndrome after manually wheeling herself around Israel constantly, where wheelchair accessibility is limited. One day, she noticed two people out in her Tel Aviv neighborhood in power wheelchairs, and they all got to talking. She told them of her quest to empower herself. "If I couldn't fight as a soldier the way I used to, I can fight in another way, using my words, using my mind, instead of my physical ability," she said. That's when they told her about the Center for Independent Living (CIL). The Center, created by the American Jewish Joint Distribution Committee (JDC—an overseas arm of the Jewish United Fund/Jewish Federation of Metropolitan Chicago—is a multi-functional center for people with disabilities. What's unique is people with disabilities run the center too. Similar to a North American model, CIL offers peer counseling, social activities, legal assistance, and a support network. The Center is funded through the JDC, the Israeli government, and the Ruderman Family Foundation. There are 1,000 Centers located throughout North America, and six in Israel. CIL was the perfect fit for Zipper. 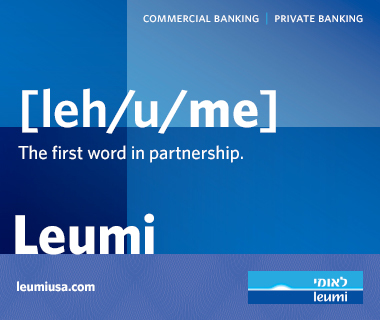 She has volunteered at the Tel Aviv branch of the center for two years to date. Zipper helps people at the center live independent lives as contributing members of society—despite their disabilities. "Nothing can define you but yourself-no condition, handicap, or disorder," she said. "I'm only limited if I choose to be."